Mebbe Exhibit B doesn't like the window? Ferns do like shade...They both look sumptuous though. tell me about your winter watering and feeding schedule. 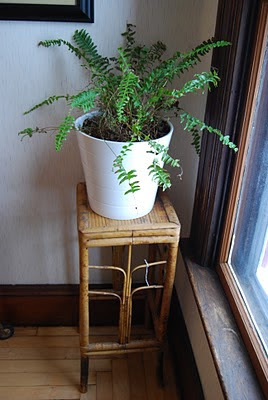 my ferns always die! Who knows with plants... certainly not me. I can't even keep my basil plant alive. I think the "bad" fern is either getting too much light, too much heat, or too wide a range of temperature fluctions with being next to the window. I'm thinking too much sun? But don't pay attention to me. I've never grown a plant successfully in my life. Unfortunately all my plants are exhibit B's. Yep. Know all about this. Except...I have only one plant, and it looks like the one on the right. You've really opened up a therapy session for all the plant killers! Reading all the previous comments, I see I'm in good plant killing company. I think the one on the right is actually at my house..or it's twin is anyway. I do well with outdoor plantings, but bring them inside and they all have a suicide pact. Good luck though! I'm so glad I could give all you plant killers a safe space to speak your truth. The weird thing? When I say 'rotation schedule', this includes switching locations. Once every two weeks, they trade spots, so no matter the light, they each get the same amount/kind. 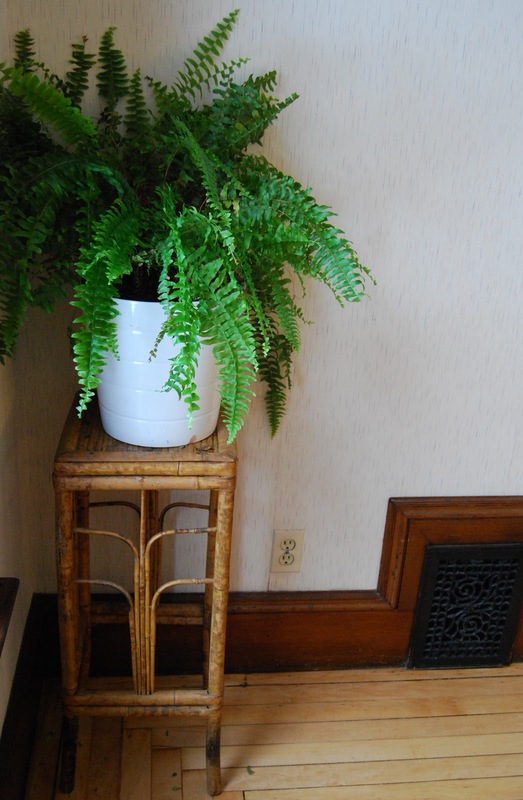 Maybe Exhibit B is a Charlie Brown fern. Looks good to me! Yeah, I'm a total plant-killer. That's why I stick to fake ones. LOL. Sorry. I don't mean to laugh but this totally reminds me of my 5th grade science project-Do Plants Need Sunlight? I had 2 identical plants in the same place in the house but one was covered with a paper bag and the results look very similar to your plant sitution. I doubt you covered one with a paper bag, but if you did, you may want to remove it from time to time. I kid..i kid...thanks for the flashback!